Your body is a complex machine built to heal itself, but our modern lives interfere with the body’s self-nurturing ability. What is Qigong? Qigong energy healing is a completely natural holistic process that helps your body do its incredible job of self-healing. What is qi? Qi is the vital energy that exists in your body as well as in the universe. This energy is the same in both places. The energy in the universe is the same as the energy in the body. There is no separation between the two. Because our body appears to be distinct from everything else we just think the energy is different. In truth, the body’s energy is just more dense. Qi is the energy that brings life to the body. It helps you to move, digest food, regulate all the activities in your brain and nervous system, etc. When you die, your qi energy leaves the body. You are working with this vital energy when you do Qigong. In fact, “gong” means working with. So in Qigong, you are working with qi energy—your vital energy—to heal yourself, to maintain your health, or to reach peak performance. Qigong balances the body all the way down to the cell level. If you’re already healthy, Qigong can help you reach peak performance. It’s the best type of preventive and maintenance exercise you can do for yourself. Every day in our lives, too much stress plus inadequate sleep, nutrition, exercise, time spent in nature, and other excesses and deficiencies combine forces to work against us. It’s important to know, however, that your emotions are the biggest culprit causing illness and pain. Your mind/body connection is far more powerful than you realize. It relaxes you and energizes you at the same time. Everything in the universe is made of energy, including our bodies. Modern physics has proven this. Nothing is solid—everything is a vibrating mass of cells and their components. We can see this using a microscope. The body has 12 major energy channels running from head to toe, and hundreds of energy points along these channels. The channels are known as meridians in acupuncture. In a healthy body, energy flows freely along these channels to nourish all the cells of your body. In an unhealthy body, the energy is blocked, restricting and reducing this natural process of nourishment. The 12 energy channels (see Figure 1) and the vast network of supporting channels carry a steady stream of nourishing energy to your entire system. Once blocked, energy cannot pass through to fuel your muscles, bones, ligaments, tendons, organs, organ systems, tissues—all the way down to each individual body cell. Your body at first gradually begins to show signs of the blockages through minor physical and emotional symptoms: small aches and pains, colds and flu, upset stomachs, headaches, anger, sadness, frustration, etc. The blockages suppress your immune system. If you don’t clear the blockages—if you let them accumulate and further hinder the flow of energy—these smaller problems eventually escalate into major illnesses such as heart attacks, strokes, tumors, auto-immune disorders, debilitating anger, depression, addictions, etc. What we all know but don’t completely realize is that our varied, stressed emotions are the single most important cause of these offending energy blockages. Our lives are stressful. This causes us to think in stressed-out ways. Our stressed thoughts give us stressed emotions. Our emotions cause more stress. It’s a vicious cycle. We know from 5,000 plus years of Qigong that every illness or discomfort of the body, mind, and emotions is caused by these energy blockages. 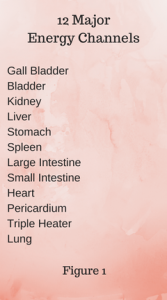 These blockages prevent our body from operating to its full capacity and healing itself as it was meant to do. Once we know the location of the blockage(s), we can use Qigong to remove the blockages very simply, restoring the energy flow to the body so it can do its job of healing itself. The beauty of Qigong is in its simplicity. Qigong is so simple that people often underestimate its power. It is a mistake to underestimate the power of Qigong. Qigong can help you heal any issue, whether it’s physical, emotional, or spiritual. Once you remove your energy blockages and heal these issues, Qigong can help you maintain optimal health. See The Three Methods of Qigong to learn more. One of the ways is to begin a Qigong movement practice. I lead a weekly Qigong movement practice online called Healing with Qigong. Every week, someone new comes to the practice and has a different experience that surprises and delights them. People experience the immediate effects of Qigong in different ways. This is because qigong is causing areas of stagnant energy in their bodies to begin to move. They know something is happening, but they can’t understand how such simple movements can cause these immediate, noticeable reactions. 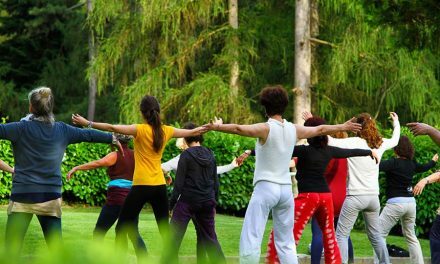 What Makes Qigong Different from Any Other Exercise? Centuries of observation, practice, and adjustment have perfected Qigong to remove energy blockages from specific areas to heal specific organ systems, other tissues, and even emotions. The movements are simple yet extremely precise. They are targeted to perfection. The mysterious sensations students feel fascinate them and make them want to practice again to learn more. Continued Qigong practice produces remarkable health benefits.